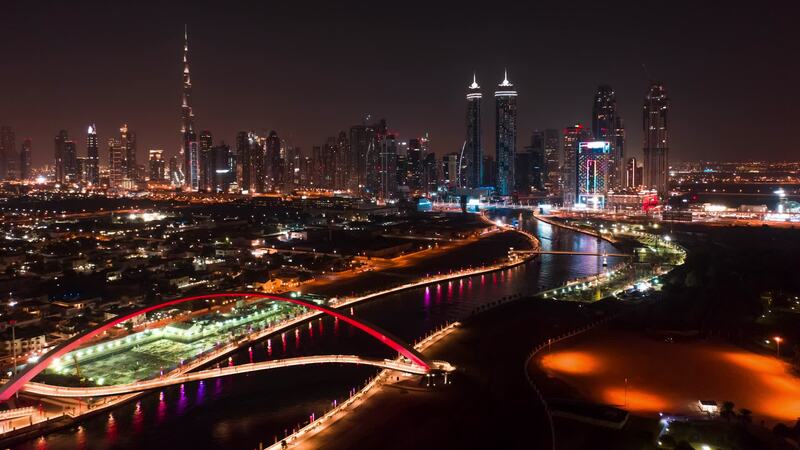 Get a bedazzled view of Dubai in this hyperlapse drone video from contributor obnasr4k. The UAE's swanky skyline seems to move in hyper speed through the darkened night sky. The lights from the skyscrapers, the reflections, and the traffic lights in motion are completely mesmerizing as we soar high above the urban oasis of Dubai.